In his 2014 State of the Union Address, President Obama spoke about the nation’s gender pay gap, calling it “an embarrassment.” According to the White House Council of Economic Advisers, full-time female workers in the U.S. currently earn 77 cents for every dollar earned by men. In honor of Equal Pay Day 2014, NerdWallet crunched the numbers to analyze gender pay gaps across the country. NerdWallet took a look at the cities with the most rapidly changing gender pay gaps to see where income equality between the sexes is declining or rising the most. We calculated men’s income as a percentage of women’s income and compared how that figure changed between 2007 and 2012. We looked at 283 cities with populations over 100,000. 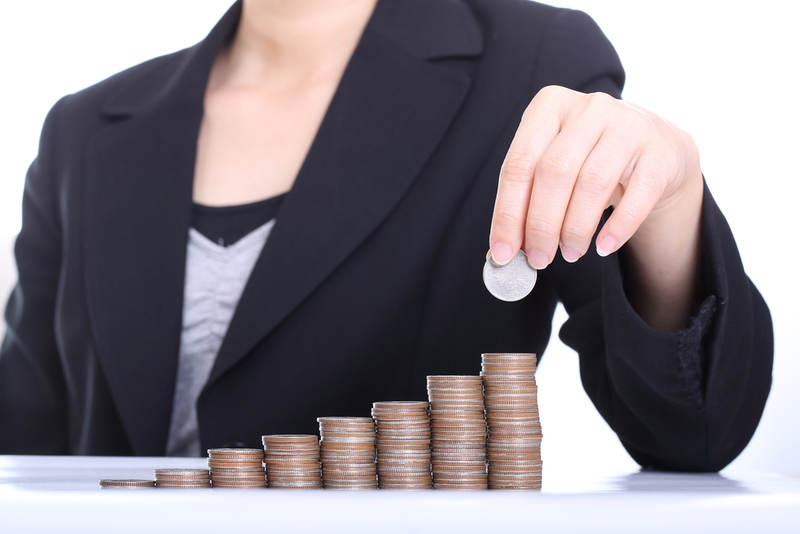 The nationwide gender pay gap decreased by 2.2% between 2007 and 2012. In 2007, the median income for men was about 129% of the median income for women, and that figure fell to about 127% in 2012. In 2012, the median income for male full-time workers in the U.S. was $47,473, while the median income for female full-time workers was $37,412. Murfreesboro, Tenn. experienced the greatest decrease in gender pay gap of all cities in our analysis—the difference between men and women’s incomes fell nearly 38% between 2007 and 2012. Belonging to the Greater Nashville area, the city is also one of the fastest growing places in Tennessee, with population growing by over 58% between 2000 and 2010. The city with the second-fastest decreasing gender pay gap is Centennial, Colo., part of the Denver-Aurora metropolitan area. Centennial also made NerdWallet’s analysis of places with the greatest overall income equality in the U.S.
Of the top 25 cities with the fastest-decreasing gender pay gaps, ten are in California. No other state has more than four cities in the top 25. The alarming distinction of the city with the fastest-growing gender pay gap belongs to Clearwater, Fla., which saw a 49% increase in its pay gap, much higher than anywhere else in the nation. Interestingly, women in Clearwater actually earned a higher median income than men in 2007, but the average male income was much higher in 2012, leading to a sharply growing gender pay gap. Santa Clara, Cali. is the center of Silicon Valley, which could be part of the explanation for why the city has seen the second-highest growth in gender pay gap of all cities in the country. Average incomes in Santa Clara are significantly higher than in most American cities, and the growing inequality in income for each gender is due to an incredible rise in men’s incomes: the median male income rose a remarkable 27% between 2007 and 2012, while the median female income only saw a 2% hike. The numbers reveal that the recent economic success of the Santa Clara area (which home to many technology companies that are mostly headed by men) has led to a widening gender pay gap. California and Texas lead all states in the top 25 cities with the fastest-growing gender pay gaps—each has six cities on the list. We divided the median income for male full-time workers by the median income for female full-time workers in 283 U.S. cities with populations of at least 100,000. We then subtracted the male income/female income in 2007 from the male income/female income in 2012 to calculate the change in gender pay gap. All data was obtained from the U.S. Census Bureau.